Place patties on pan, bake for approx. 20 minutes flipping once when halfway done! 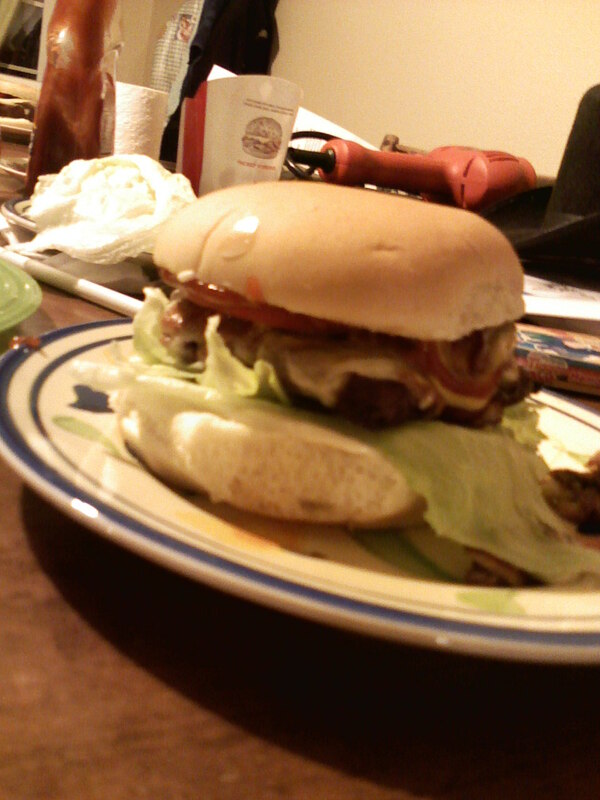 Then create you hamburger masterpiece!! My husband is perfectly content with just ketchup... I know, what is he thinking? What are your favorite toppings??? Perfect idea to replace grilling here in the midst of our snowy upstate NY winter.